What do I have to prove in a premises liability case? You have to prove that there was a defect that the property controller either knew of or should have known about that was the proximate cause of your injury. You'll also have to prove that there was a failure to correct, warn about or barricade the area where the injury occurred. There could be a mat that was not properly secured to the floor, a bunched up carpet, water where it did not belong. All cases are different and must be analyzed. One thing is true in every case. You have to know what caused you to fall. The fact that you fell does not prove anything. If you don't know what caused the fall and you have no witness to the fall, you probably have no case. 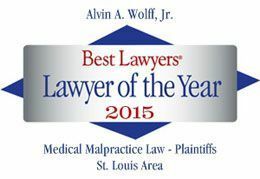 Call Alvin Wolff at 314 584 4109 if you have any questions.